Are you confused with all the terms? Well don't feel alone. Even people in the industry confuse the terms branding and marketing. It might help to first know the definition of "Marketing". Dr. Kotler narrowed down the definition to: “meeting the needs of your customer at a profit.” That definition is short but takes in a lot. Meeting the needs of your customer starts with awareness or your product or service and ends (if you can really pinpoint an end") when the customer pays for your product or service and is satisfied. When looking at marketing many people think of promotions -- the "advertising" and selling a product or service. But as Kotler points out, it's much more than that. True professional marketers look at what's called the 4-P's of marketing: Price, Promotion, Product, and Placement (logistics - how the product or service is delivered to you). 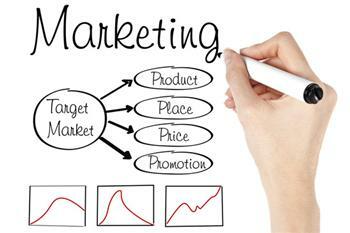 A complete marketing strategy should encompass all aspects of these 4-P's of marketing. The most common element many "marketers" look at is only the Promotional side of marketing which is known as the " Promotional Mix" The Promotional Mix includes: Personal Selling, Advertising, Consumer Promotions, Public Relations, Direct Marketing, Business to Business Promotions, and Print Communications. The "brand" according to the American Marketing Association (AMA), is a "name, term, sign, symbol or design, or a combination of them intended to identify the goods and services of one seller or group of sellers and to differentiate them from those of other sellers". 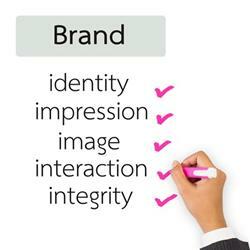 A brand takes on the company's or product's identity. Using the terms branding and marketing can be confusing, and as stated, even professionals mix up the terms and have widely different definitions. Many people, from a variety of backgrounds, work in the marketing field for a variety of reasons, but when they lack the background of higher education and broad experience, they miss the fundamentals of professional marketing. Also, consider that fact that many graphic artist refer to "branding" as just the your logo and company/product colors. Graphic or design firms may use the word marketing, but they are really coming from a graphical background and look more that the image rather than the strategic overall process and method of as Dr. Kotler said meeting the needs of your customer at a profit. Know who you are talking to and your desired outcome. At ePlus Marketing, our focus is on marketing that combines branding -- meeting the needs of your customers at a profit. It's about the results! Is your brand working for you? Find out more with a complete marketing assessment!